Jio Payments Bank App – Jio Launching JIO Payments Bank. So users can Create or Open Savings Accounts with eKyc Verification Online and Can Transfer Money from Jio Money app to Jio Payments bank accounts. Users also Get Jio Bank Debit/ ATM Card to get cash from ATM’s. Scroll Down to get More detailed data about Jio Bank. Stay tuned for Launch Date, Interest rates. Hi Friends, Have you heard the Latest News From Jio?. Ok Fine. Jio Announced that Launching Jio Payments Bank From March 14th 2018. JIO Money Wallet will shut down and those Money will be transferred to Payments bank Account. why because Under RBI Guidelines, For Every Money wallet should verify users KYC Documents. 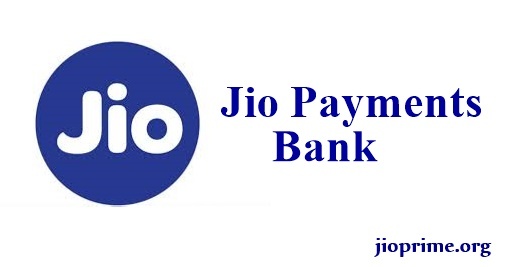 For those Purpose jio Closes their JIO Money Wallet Services and Opening JIO Payments Bank Accounts like Paytm Bank Account, Airtel Payments bank, Aditya birla’s NSDL Payments bank & Fino Accounts. Jio Payments Bank Limited has commenced operations as a payments bank with effect from April 3, 2018. The Reserve Bank has issued a licence to the bank under Section 22 (1) of the Banking Regulation Act, 1949 to carry on the business of payments bank in India. Reliance Industries Limited, Mumbai was one of the 11 applicants which were issued in-principle approval for setting up a payments bank, as announced in the press release on August 19, 2015. According Latest SMS Received From Reliance JIO Official to Users stated “JioMoney account will be transferred from Reliance Payment Solutions Ltd to Jio Payments Bank Ltd on 14.03.2018“. Yet to confirm this message sent by jio official or not. Like you Know Paytm Payments Bank, Airtel Payments bank, Fino Payments Banks, JIO Payment Bank also is one among them. Payments Bank Will Work Under Guidelines of RBI and gets Authorized rules from Reserve bank of india. In this Banks to Allow People Can Deposit Up to 1 Lakh Rupees initially with eKyc Verification (Aadhar Card, Passport Photo). Above 1 Lakh rupees also can deposit later depends on request received from banks. These Payments Bank will Provide ATM/ Debit Cards, Internet banking, Interest Rates on Deposits/ Holding Amounts and also you can transfer money to another Normal bank accounts like SBI, HDFC, Axis, ICICI etc. Payments bank also will work as normal bank accounts but it wont provide Loans, Credit cards. Now, Airtel Payments Banks and Paytm Payments bank branches opened in all major cities. So that you can do cash Deposit and ATM Withdrawals easily. Jio also will keep their JIO Payments banks in all cities Soon. Cashback Offers and Discounts also will be given. Like Jio Money Wallet app, Jio will Launch Jio Payments Bank Application for Android in Playstore, for Iphone/ ios devices in Apple Store and for windows mobiles in windows Store. We will Give app links here after official launch by jio. We are Providing step by step process to create account in payment bank of jio. First of All, Install Jio Payment Bank app and Sign in using your JIO Number. Link your Aadhar Card by Entering aadhar Number in required field. Update the Address to get Debit/ atm cards if needed. For Paytm bank accounts, Customer executives are Coming for Physical verification for Identity and thumb impression (ekyc). We are Expecting same for jio. We Should wait until get official rules from jio. Interest Rates on Deposits ? We can Expect Best rates Compared to Other payments banks of airtel, paytm, fino. because Jio Always attracts customers with best prices in market. Official interest rates will Announce soon. You Can Apply for Debit card in Application. if you request for card they will send to your address. Official procedure will be update soon. Through this card you can withdrawal money in atms or swipe in pos machines. JIO Banks Branches : Locations will be Update Soon. After official Announcement, We will Provide Step by Step Guide and Procedure of Jio Payments bank account opening and Other guidelines. Stay Tuned. As Per HINDU News Jio Money said it would suspend all personal and bank transfers for its customers from wallet from 27 February. “As per RBI guidelines, personal and bank transfers from wallet will be suspended from 27.02.2018. To address the inconvenience, a one-time bank transfer without any charges is permitted till 26.02.2018,” said Jio Money in notification. Reliance Jio is in process of seeking its customers’ consent to move them from Jio Money to the proposed Jio Payments Bank in existing capacity, it said.